We've got some sad news coming out of the Saab community today. Police in a suburb of Boulder, Colo. are trying to find out why a man shot and killed an employee of an independent Saab repair shop on Friday. Mary McGrath, 56, was shot several times when a man came in to the East of Sweden repair shop in Broomfield, the Broomfield Enterprise newspaper reported. McGrath was taken to an area hospital where she was pronounced dead. The 62-year-old man, whose name is still being withheld by police, was arrested at the scene, according to the report. 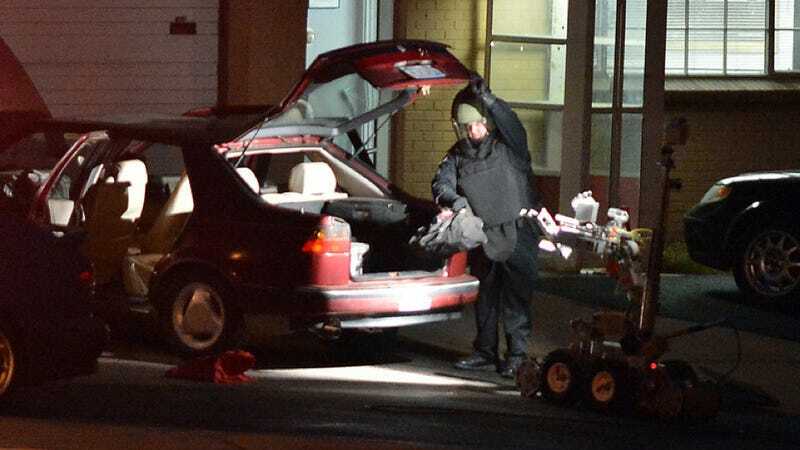 The bomb squad searched his Saab 9000 because there was thought to be a bomb in it. There was a backpack that was removed and an item inside of it detonated in the street. The Daily Camera talked to Saab drivers and other people who knew McGrath as someone who "didn't have a mean bone in her body," so it's unknown right now why this man came to shoot her. East of Sweden is a popular Saab shop in the Boulder area, and highly regarded in the Saab USA community, so Saabists familiar with the shop and McGrath are hard-hit by the news this weekend. Sounds like a very unfortunate incident. We hope that more answers will come soon.